Wow, time sure flies when you are having fun! We have been so busy working on garages all over the Chicago area, we barely noticed 2016 is already halfway over. Summer is a great time to get started on your next garage project, and the team of knowledgeable garage specialists at Blue Sky Builders is here to help. We have been building quality custom garages in Illinois since 1979 and also offer a wide variety of other garage help like repairs and window and door installation. We believe in offering other helpful services as well, like financing, free estimates, and help from our specialized team members at every step of your project, to ensure you have the best experience possible. For this week’s blog, we are reflecting on a select few of our past posts. Since July is the seventh month of the year, check out our seven most read blogs of all time. How to Choose the Right Size Garage: What garage size is right for you? We get this question often, and this helpful blog post offers some insight into choosing the best garage size for your property. Of course, our specialists are always available and can help you with choosing the right size of garage to build whenever you are ready. Garage Floors: How to Restore from Winter Damage: Did you know that the deicers used on roads to combat snow and ice during the winter can make their way into your garage? Once there, they can cause serious damage like staining or cracking your floor. Now is a perfect time to assess your garage for any winter time damage. This helpful post tells you what to look for and offers some assistance with repairing and removing any damage you find. 5 Garage Wall Storage Ideas: We love helping our customers optimize the potential storage space within their garages. In this popular post, we explore a few ways you can get creative with storage on the walls of your garage. Check it out to learn more about pegboards, wall tracks, and other great storage ideas. Blue Sky Builders Garage Project Blog: Chicago, Illinois: Curious about working with Blue Sky Builders? This post from 2014 shares the details of one successful garage build in Chicago. For this project, we replaced a dated 40-year-old garage with a brand new structure. Check out all the details, see some before and after pictures, and do not miss the review of the project from the client. Father’s Day Guide to Turning a Garage into a Man Cave: Looking to surprise your husband or father with a nice gift? Consider transforming your garage into a man cave equipped with everything he will need to catch the next football game or host a fun party. From planning to furnishing, this post offers helpful advice for every step of the way. 10 Garage Facts – Did You Know? : Did you know that a new garage could help protect your home from strong winds? 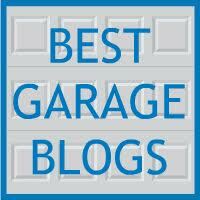 In this past post, we explore 10 awesome garage facts that you likely have not heard before. 3 Types of Garage Roofs to Choose From: If you are building a new, stand alone garage this summer, you will need to choose a roof style for the structure. Blue Sky Builders offers a variety of different styles to choose from, depending on how you plan to use your garage and the size of your vehicles. Check out this past post on gable, hip, and gambrel roofs for everything you will need to know. Ready to Start Your Garage Project? 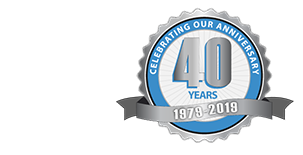 Blue Sky Builders has been building quality custom garages in the Chicago area for over 30 years, and we remain dedicated to providing quality work for all of our customers. Are you ready to get started with your next garage project? Visit Blue Sky Builders online or call us at 630-852-8485 when you are ready to get started. Also, be sure to check out our online photo gallery for examples of our work.